Ever go to a thrift store, find something cool (or not so cool), and think what the heck would someone do with this? That’s the challenge. 33 bloggers went on the hunt for some thrift store treasures, mailed them to their partner, and now we’re revealing our makeovers. I was excited and admittedly a little nervous opening up the package I received from Meagan at The Charming Farmer. I’m not the most creative person, so I was a little terrified to open up the box and be completely stumped. Luckily all the items were awesome! I turned the wooden tissue box into a mailbox for the kiddos. All kids love playing mailman. Right? Excited to see what Rachel from Shades of Blue Interiors did with the box of thrift store finds I mailed her. I can’t even remember what I put in that box! Check out the other 32 thrift store makeovers. I always love seeing what ideas other people come up with. Loads of creativity! Now bring on Swap It Like It’s Hot Part 4! 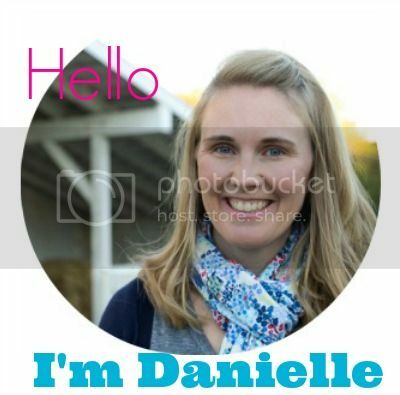 This entry was posted in home by Danielle. Bookmark the permalink. Stop it!!! That is so darn cute and super creative. I love the Mailbox idea, I am addicted to old mailboxes. Please feel free to stop by my Etsy Shop, I sell great Vintage finds..
How cute! I don’t know any other kids that have a mailbox, how awesome is that! How fun!! This is so cute–my daughter would have loved something like this when she was little. Now she loves Manhattan. They grow up so fast! What a fun idea!! Love the “Post” sign that you added :) I would’ve loved playing with this as a kid! What?! Turning an old tissue box into the perfect little play mailbox? That is just genius!!! How creative is that? Love it!! So cute! My boys would love that too! What a clever way to re-purpose that tissue box!! Sending mail is such a dying art form nowadays, so glad to see you incorporating it into play! i am in love with this! so fun for the kids and what a great way to think outside of, well, the box.